We so enjoyed collating our favourite superstitions surrounding Halloween that we thought we would do another, but this time focussing in on some of the superstitions associated with Christmas. Whether you believe them or not, it’s fun to learn about beliefs and traditions that some people subscribe to. Here are 15 of our favourites; some are weird, some are wacky but they’re all wonderful! Children born on either Christmas Day or Christmas Eve are believed to not be able to see spirits. If you are born on Christmas Day, you’ll be lucky in life! Being the first person to open the front door on Christmas Day and say “Welcome Father Christmas” is said to be very lucky for the following year. If you’re the first person down the stairs on Christmas Day, you should also always take a broom and sweep away “trouble” from the threshold of your home. Unless you want bad luck, never keep up Christmas decorations up after the Twelfth Night. The amount of mince pies you eat determines how much luck you’ll have for the following year – so eat up! 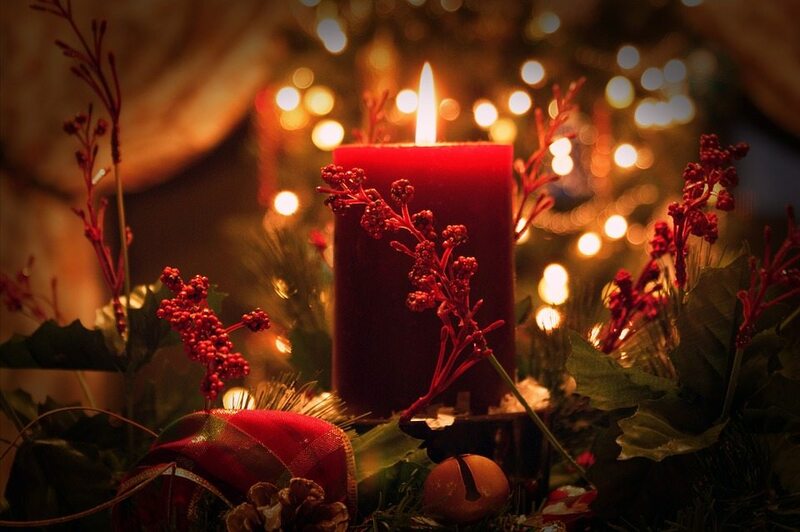 If you light a candle on Christmas Eve it must continue to be undisturbed until you blow it out on Christmas Day. Of course always be safe when using candles. If you use a yule log for a roaring fire, never buy one from a DIY or hardware shop. You must find it and do any cutting yourself or else it is bad luck. We’ve all heard of the “kissing under the mistletoe” custom. But did you know the first person under the mistletoe is supposed to present the second person with a mistletoe berry? Once the berries have gone, the kissing tradition can stop. Whilst we would all love to receive a brand new pair of shoes from a loved one. You should never give shoes as a present as the recipient will walk out of your life. Holly can be used as protection from witches and dark magic so it’s customary for people to bring it into their homes during the Christmas period. Eat an apple at midnight on Christmas Eve for good health all year round. Stirring the Christmas pudding is good luck and if you are looking to get married the following year, you should stir it at least three times. Finding a kneeling donkey on Christmas Eve and making the sign of the cross on its back will bring you your heart’s desire. Leaving a Christmas tree undecorated will attract negative energy and evil spirits. So what do you think? Have you heard of any of these superstitions before? Let us know if you have any that we’ve missed out and we’ll be glad to add them to our psychic guides.